Oh my God... ard! 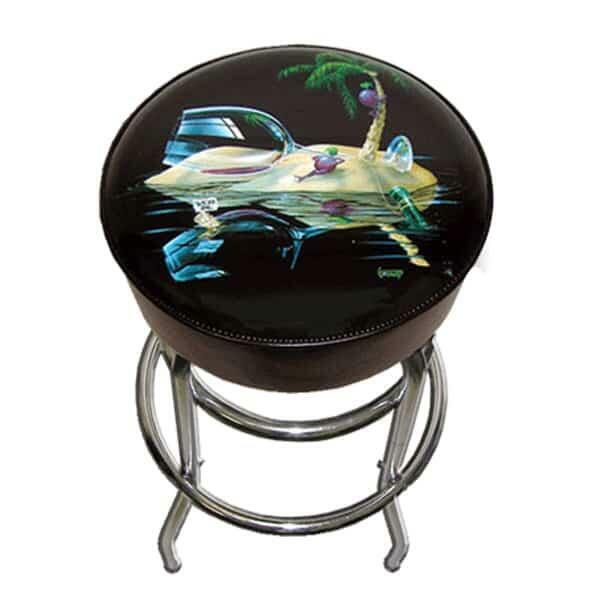 This Michael Godard bar stool advances the sultry style and whimsical themes that made the Las Vegas native the rock star of the art world. With a scene featuring fun grape characters and wine glasses as the subject matter, this soft and comfortable bar stool will put a smile on the face of any visitor to your bar.